Sailing from Yepton Estate Cottages – a different kind of wing. 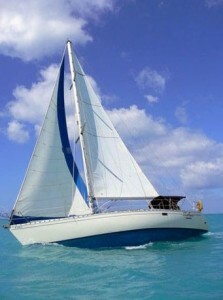 Truly the “sailors paradise”, Antigua benefits from warm, clear waters. The prevailing winds are steady. Tides and currents are benign and you need never be far from fellow sailors and a friendly wave. Any and every sailing experience you may require is easily arranged by Yepton Estate Cottages, from easy “taster” day sails, through tuition, luxury or bareboat charter, to world class racing and cruising. Antigua is unsurpassed as a cruising base for inter-continental voyages, island hopping or just staying with Antigua’s own wealth of marinas, harbours and delightful anchorages. Deep Bay – an easy walk from Yepton Estate Cottages – is one of the most sheltered anchorages on the island, popular for overnight and lunch stops by local yachts, and visitors from other islands. Less than an hour’s sailing time from the Cottages, St John’s Harbour is wide and deep, and a delightful home-from-home for the world’s biggest and best cruise liners. 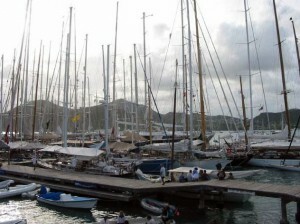 A large dock within a few meters of Antigua’s main shopping area is available to yachts. 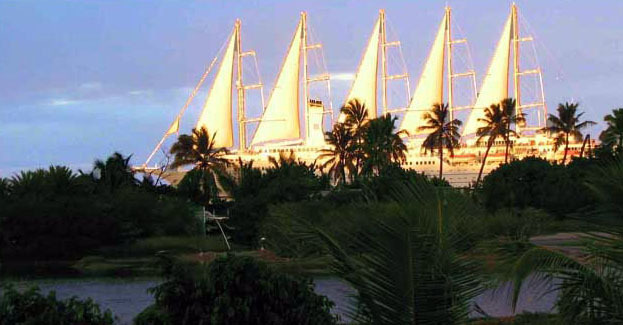 Longer sailing trips around Antigua take in Great Bird Island and Long Island to the north, and Rendezvous Bay, English Harbour, Willoughby Bay and the famous Green Island anchorage to the south. Water born, and air born wild life abound. Quiet and comfortable, the deck or cockpit of a sailing boat provides excellent opportunities for observation. The racing scene can be customised to your level of experience and commitment. 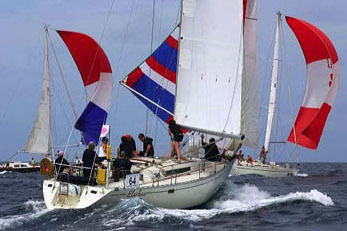 Weekly club races from Antigua Yacht Club in Falmouth Harbour, and Jolly Harbour Yacht Club attract local characters and visiting racers. Larger events are held regularly, including the Round Island race at the end of January, Valentine Regatta and of course the world famous Antigua Classic Week and Antigua Sailing Week at the end of April. 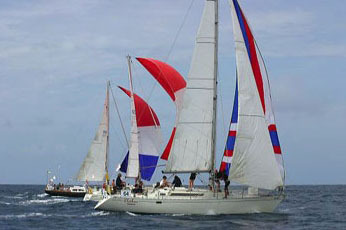 All types and sizes of boats, with or without captain and crew, are available to guests at Yepton Estate Cottages, ranging from older yachts of thirty feet length overall, available for a hundred dollars (US) per day, through a forty-footer available at an hourly rate of $40 per hour including her captain, to a choice of nearly new yachts of all sizes up to around fifty feet, for day or week charter, at prices ranging from $2000 to $5000 per week. Motorboats of all sizes are also available, and if you really want to “push the boat out” there are several large, luxury yachts with crew, cook and stewardess immediately available on the island. Sailors can count on the Trade Winds for a good steady breeze, and clear water with almost no tide to keep passages easy and enjoyable. Antigua offers many large natural harbours – more than most of the other islands – with ample space at dockside pontoons and on buoys. There is a huge choice of anchorages, including popular, protected bays and many quiet, deserted spots. Around Antigua’s coast, you are never far from a refuge, and in VHF and cell phone contact with marinas and other boaters. Jolly Harbour, near Yepton Estate Cottages, offers some of the best marina services in the Caribbean, with extensive lift-out and storage facilities, marine engineering and repair shops for fibreglass and wooden boats, and a large chandlery. Together with other yards, such as the Slipway at English Harbour, Antigua offers a choice of specialists in rigging, sail making and repair, electronic and electrical and all the other services and skills required to keep yachts seaworthy. Antigua and Barbuda provide waters enough for weeks of cruising pleasure. Harbours and anchorages are well charted and include a full variety of destinations, from sophisticated, full service harbours and marinas, through popular bays suitable for overnight stays to deserted beaches and coves where you can anchor in peace and tranquillity. Passages around Antigua can also be chosen to suit your mood – from proper seaways in the Atlantic, to relatively flat water, often inside reefs on the Caribbean side of the island. It was an exhilarating sail. With sustained winds above 25knots, we covered 70 miles in eight hours, seeing flying fish and turtles on the way and sailing slowly through the Jacques Cousteau marine park at Pigeon Island. Initially there was hardly a breath of wind, but the sea began to get lumpy around the northwest corner of the island. The wind built steadily, and we were glad we had reefed right down. Approaching Antigua, we rolled in more headsail and were still doing over eight knots. The final approach outside of Antigua’s Cades Reef was great fun. The boat flew in towards OJ’s beach bar at ten knots, with French patisserie still frozen in the ice box. Jolly Harbour Yacht Club and Antigua Yacht Club hold weekly races and regular regattas, and all shapes and sizes of boat are welcome to join in, as are visitors looking for crewing experiences. The following extracts are an account of a race recently completed by Elethea, a local boat which regularly races in Cruising Class. We arrived in Falmouth before 2.00pm, past Bishop’s Shoal, and berthed bows-to the Antigua Yacht Club dock, which is free to racers. The French arrived in mid-afternoon – Six boats from Guadeloupe – and commenced their campaign with an hour or two of good food and wine.